If you restart the development web server you should be able to open this file at http://127.0.0.1:5000/example_theme.css in a web browser. The default base.html template defines a styles block which can be extended to link to custom CSS files (any code in the styles block will appear in the <head> of the HTML page). This custom color should appear on all pages of your CKAN site. 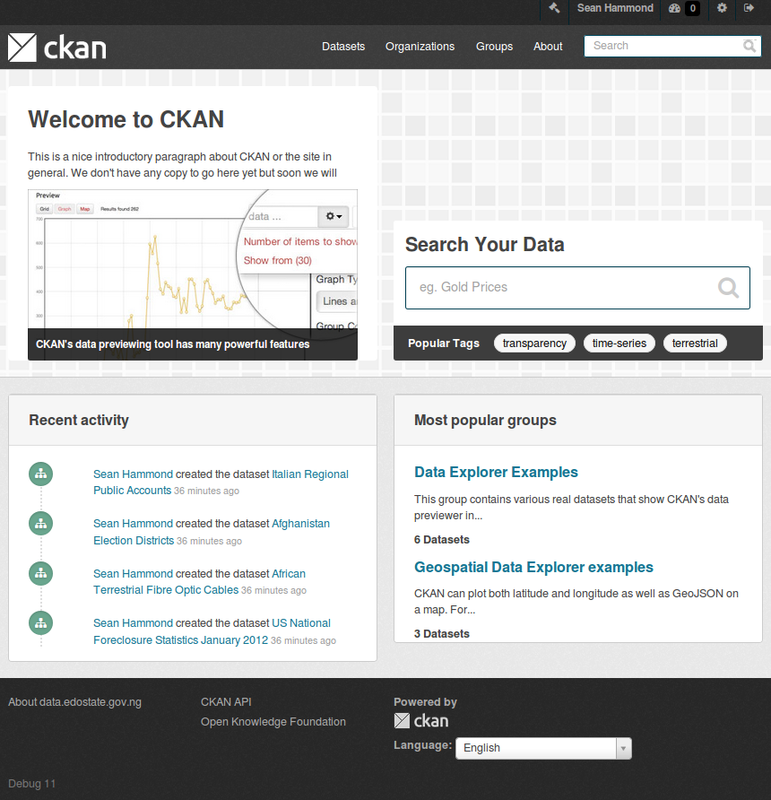 /* Remove the borders around the "Welcome to CKAN" and "Search Your Data"
/* Remove some padding. This makes the bottom edges of the "Welcome to CKAN"